Our lecturers are distinguished literary scholars with strong Cambridge connections. 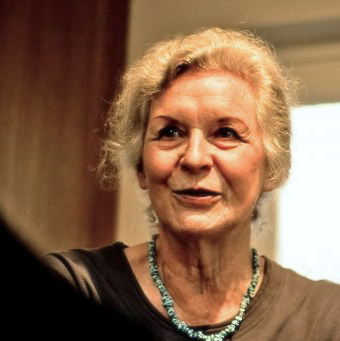 Professor Dame Gillian Beer is a leading Cambridge scholar. She is a teacher much loved by generations of students at Cambridge and around the world, and has written ground-breaking books on Darwin, Virginia Woolf, George Eliot, Lewis Carroll, Byron, Freud, literature and science, literature and the past, women writers, poetic rhyme, and many other topics. She specialises in nineteenth- and twentieth-century literature, and has a keen interest in contemporary writing. She was a Booker Prize judge in 1993 and Booker Prize chair in 1997. 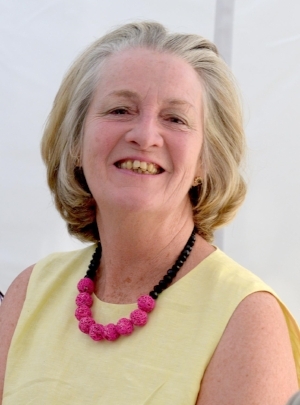 Formerly the Edward VII Chair of English Literature and President of Clare Hall at the University of Cambridge, Dame Gillian is a Fellow of the British Academy and of the Royal Society of Literature. Her many academic honours include honorary degrees from Harvard, Oxford, London, the Sorbonne and the University of St Andrews. Her numerous books include Virginia Woolf: The Common Ground; Darwin's Plots: Evolutionary Narrative in Darwin, George Eliot and Nineteenth-Century Fiction; Open Fields: Science in Cultural Encounter; Arguing with the Past: Essays in Narrative from Woolf to Sidney, and, most recently, Alice in Space: The Sideways Victorian World of Lewis Carroll (2016), which won the prestigious Truman Capote Prize. Gillian Beer published an essay on Alice in Nature, 17 November 2016: read here. Further information on the British Council webpage on Gillian Beer. Dr Aoife Byrne completed her PhD at the University of Cambridge, where she worked on domestic space in the works of Irish and British women writers Daphne du Maurier, Elizabeth Bowen, Nancy Mitford, Kate O'Brien, and Evadne Price. She also works on Virginia Woolf, Elizabeth von Arnim, Katherine Mansfield, and Jean Rhys. Aoife has published articles on Daphne du Maurier, Doris Lessing, Jane Austen and Oscar Wilde, and is currently writing a book on Daphne du Maurier. She is a Fellow of the Harry Ransom Center at the University of Texas at Austin. In Cambridge, she has supervised for several colleges on twentieth-century literature, modernism, and popular culture. Dr Sarah Cain is a Lecturer and Director of Studies in English at Corpus Christi College, Cambridge, where she teaches a broad range of modern literature, with a special interest in T. S. Eliot. She has published on literature and science, on fact-checking in the New Yorker, and lectures widely, including at the T. S. Eliot Festival. Dr Paul Chirico is College Lecturer, Director of Studies in English, and Senior Tutor of Fitzwilliam College, Cambridge. He teaches literature of the eighteenth century and Romantic periods, with a particular research focus on the early nineteenth-century poet John Clare. His book John Clare and the Imagination of the Reader was published by Palgrave Macmillan. His article on John Clare’s ‘The Woodman’ appears in the John Clare Society Journal (2000). He is founding chair of the John Clare Trust, which has established an educational, environmental and cultural centre at Clare's birthplace in the village of Helpston, near Peterborough. Claire Davison is Professor of Modernist Studies at the Université Sorbonne Nouvelle, Paris, and Chair of the French Virginia Woolf Society. She is the author of Translation as Collaboration: Virginia Woolf, Katherine Mansfield and S. S. Koteliansky (2014) and has co-edited several volumes of Katherine Mansfield's work for Edinburgh University Press. Her essay 'Hearing the World "in Full Orchestra": Voyaging Out with Woolf, Darwin, and Music' is published in Woolf Studies Annual (2017). Website: here. Oliver Goldstein is writing his PhD at Trinity Hall, Cambridge. His research explores radical conservatism in the nineteenth century, with particular interest in Carlyle, Ruskin, Tennyson, and the Brownings. His article on Thomas Hardy's revisions of Swinburne is published in the Journal of Pre-Raphaelite Studies (2017). He has also published widely on the sport of boxing. Alison Hennegan is retired Fellow and Director of Studies in English at Trinity Hall, Cambridge. She has lectured for many years in the Cambridge English Faculty on a wide range of topics from tragedy to contemporary fiction. Her interests include British writing of the First World War, juvenile fiction, decadence, Wilde, Mansfield, Woolf, Forster, twentieth-century writers, women writers, gay writers. She has published on Wilde, Elizabeth von Arnim, First World War writings, Benjamin Britten and many other topics. Her essay ‘Coming Out: The Emergence of Gay Literature’ is published in Kate McLoughlin, ed., British Literature in Transition, 1960-1980: Flower Power (CUP, 2018). She has a rich experience in publishing and journalism alongside her academic work. Website. Caroline Holmes is a garden historian and author of 11 books, including Water Lilies and Latour-Marliac, the Genius Behind Monet's Water Lilies, RHS Herbs for the Gourmet Gardener, Impressionists in their Gardens and Follies of Europe: Architectural Extravaganzas. She is interested in the many different ways that people and plants have shaped landscapes and what we can learn from them. She is a Course Director for Cambridge's ICE Interdisciplinary International Summer Programme and a Lecturer for the Arts Society, Road Scholar and the Royal Horticultural Society. She designed the Humanist Renaissance series of gardens that encircle the church of Notre-Dame-de-Calais. Website. 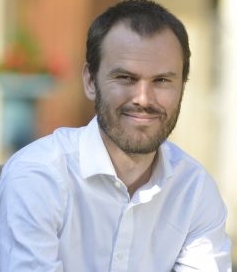 Dr Michael Hrebeniak is Lecturer and Director of Studies in English at Wolfson College Cambridge. He worked previously as a journalist, musician and arts TV documentary producer. His interest in interdisciplinarity is reflected in his first book, Action Writing: Jack Kerouac's Wild Form, and he is currently finishing a film and monograph on the medieval Stourbridge Fair. 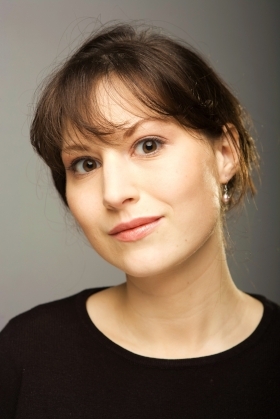 Dr Karina Jakubowicz is a graduate of University College London, Clare College Cambridge and Trinity College Dublin. She wrote her PhD on gardens in the work of Virginia Woolf, and is particularly interested in modernist representations of space and place. She is the author of Garsington Manor and the Bloomsbury Group (Cecil Woolf Press, 2016) and is the winner of the 2017 Katherine Mansfield essay prize for an essay on Woolf, Mansfield and 'Kew Gardens', published in Katherine Mansfield Studies (Edinburgh University Press, 2018) She is currently writing a book entitled Gardens in Virginia Woolf’s Fiction: Modernism, Nature and Space. She teaches at James Madison University Virginia and Florida State University. An article on Miss La Trobe in Between the Acts can be read online in Virginia Woolf Miscellany (2017-18), pp. 14-16. Dr Zoe Jaques is a Fellow of Homerton College and Lecturer in the Faculty of Education, University of Cambridge. Her publications include Children’s Literature and the Posthuman, a co-authored book on the publishing history of the Alice books, and articles on Charles Kingsley, Lewis Carroll, and J. R. R. Tolkien. Dr Ewan Jones is a Fellow of Downing College and Lecturer in Nineteenth-Century Literature in the Faculty of English, Cambridge. He has published on Coleridge, Wordsworth, Tennyson and other poets. His book Coleridge and the Philosophy of Poetic Form was published in 2014. Ewan is involved in a project to digitise manuscripts relating to Alfred Lord Tennyson. This project also explores the relations between poetry, visual culture and music in Tennyson's work. Dr Peter Jones is Fellow Librarian at King's College, Cambridge, where many Bloomsbury archives are preserved. These include the papers of John Maynard Keynes, E. M. Forster and Roger Fry. From 2008 to 2016 he taught a course on ‘Bloomsbury and twentieth-century English culture’ for the Pembroke King's Programme in Cambridge. He is the author of ‘Carrington (and Woolf) in Cambridge, 1928’, Transactions of the Cambridge Bibliographical Society, 13, 3 (2006), 301-34. Read here. Dr Isobel Maddison is a College Lecturer in English and Director of Studies at Lucy Cavendish College, Cambridge. Her publications include: Elizabeth von Arnim: Beyond the German Garden (2013); Katherine Mansfield and World War One (ed. with Alice Kelly, 2014); ‘Cross-Currents: Elizabeth Von Arnim, Max Beerbohm and George Bernard Shaw’ in Women: A Cultural Review (2017); Katherine Mansfield and Elizabeth von Arnim (2019); ‘The Popular and the Middlebrow’ in The Cambridge Companion to British Literature of the 1930s (2019). She is President of the International Elizabeth von Arnim Society, and was for several years Vice-President of Lucy Cavendish College. Dr Charles Moseley is a Life Fellow of Hughes Hall, Cambridge, and author of many books and articles on Shakespeare, including Shakespeare's History Plays, Reading Shakespeare's History Plays, Shakespeare's Tempest, and many others. He contributed to The Cambridge Guide to the Worlds of Shakespeare and The Cambridge Companion to Shakespeare's Last Plays. He is an Affiliated Lecturer in the Faculty of English, and has taught Cambridge undergraduates and adult students for many years. He was previously Programme Director of the University of Cambridge Summer Schools in English Literature and in Shakespeare. Dr Claire Nicholson lectures on Virginia Woolf's complex relationship with clothing and fashion, as well as various aspects of Bloomsbury art and ideas. She is Chair of the Virginia Woolf Society of Great Britain and has published articles on Woolf and the Bloomsbury Group in a variety of contexts. She co-edited volume 1 of The Women Aesthetes 1870–1900 and also The Voyage Out: Centenary Perspectives to mark the hundredth anniversary of Woolf's first novel. Dr Anna J. Nickerson teaches at Newnham College, Cambridge; from October 2019, she will be a Research Fellow and College Lecturer at Girton College. Her work focuses on 19th and 20th century poetry and she has published on Thomas Hardy, T. S. Eliot, and modernist poetics. She is currently editing a collection of essays on Walter de la Mare. Her main project is a book about the English poet and Jesuit, Gerard Manley Hopkins. Dr Fred Parker is Senior Lecturer in English and a Fellow of Clare College, Cambridge. He works mainly on literature between Milton and Byron (1660-1830) and on its connections with moral philosophy. He also teaches Shakespeare and Tragedy. His most recent book, The Devil as Muse, looked at the Devil as literary inspiration for Blake and Byron; he is currently thinking about the process of getting engaged (or seduced) in the novels of the period. Jane Austen is one of his special interests. Website. Professor Adrian Poole is Emeritus Professor of English Literature and a Fellow of Trinity College, Cambridge. He has written and lectured extensively on Shakespeare, especially the tragedies, and on the afterlives of Shakespeare in the work of later artists, writers and readers. His many books include Tragedy: Shakespeare and the Greek Example (1987), Shakespeare and the Victorians (2003), and Tragedy: A Very Short Introduction (2005). He has written on Dickens, George Eliot, Thomas Hardy, Robert Louis Stevenson, and Henry James, and he edited the Cambridge Companion to English Novelists (2009). He is one of the General Editors of the Complete Fiction of Henry James for CUP. Profile of Adrian Poole is in the English Faculty Alumni newsletter, 9 West Road (2015), p. 16. Dr Jane Potter is a Reader in Publishing at Oxford Brookes University. She works on early twentieth-century writing by women, popular fiction, publishing history, and First World War writings. Her books include Boys in Khaki, Girls in Print: Women's Literary Responses to the Great War 1914-1918, Wilfred Owen: An Illustrated Life and Working in a World of Hurt: Trauma and Resilience in the Narratives of Medical Personnel in Warzones (with Carol Acton). Professor Suzanne Raitt is Chancellor Professor of English and Chair of the English Department at the College of William & Mary. Her books include May Sinclair: A Modern Victorian (Oxford, 2000), Vita and Virginia: The Work and Friendship of V. Sackville-West and Virginia Woolf(Oxford, 1993), and Virginia Woolf's "To the Lighthouse" (St Martin's, 1990). She also co-edited a collection of essays with Trudi Tate called Women's Fiction and the Great War (Oxford, 1997), and in 1995 she published an edited collection of essays on lesbian criticism, Volcanoes and Pearl Divers(Onlywomen Press). Editions include the Cambridge Edition of Virginia Woolf's Orlando (co-edited with Ian Blyth) in 2018, the Norton Critical Edition of Virginia Woolf's Jacob's Room in 2007, Katherine Mansfield's Something Childish and Other Stories for Penguin in 1996, and Virginia Woolf's Night and Day for Oxford World's Classics in 1992. She has published numerous essays and articles in journals including Modernism/Modernity and History Workshop Journal, and for twelve years she was on the editorial collective of Feminist Studies. She is currently starting work on a biography of British psychoanalyst Joan Riviere. Dr Corinna Russell is Fellow and Director of Studies in English at Emmanuel College, Cambridge, where she is also a Tutor for Admissions. Her work focusses on the literature and thought of the late eighteenth and early nineteenth centuries, with a particular interest in the ways in which literary language patterns and forms ideas. She has published on repetition in the poetry of Wordsworth, Blake, and Byron as well as the novels of Dickens, and is working on a new project on the idea of song in Romantic and Victorian writings. She lectures for the Faculty of English on a wide range of subjects and teaches on the English Faculty MPhil. Dr Jan-Melissa Schramm is a Fellow of Trinity Hall, a Lecturer in Nineteenth-Century Literature in the Faculty of English, Cambridge, and Deputy Director of CRASSH. She was a lawyer before she became a literary scholar, and her work focuses on the ways in which questions of law, crime, evidence, and ethics are explored in literature of the eighteenth and nineteenth centuries. She currently teaches an MPhil course on post-colonial re-writings of Great Expectations. Her books include: Atonement and Self-Sacrifice in Nineteenth-Century Narrative;Testimony and Advocacy in Victorian Law, Literature, and Theology and Censorship, Dramatic Form, and the Representation of the Sacred in Nineteenth-Century England. Professor Susan Sellers published an acclaimed novel about Woolf and her sister, Vanessa and Virginia (2009), and is one of the General Editors of the scholarly edition of Woolf, published by Cambridge University Press. She also edited the Cambridge Companion to Virginia Woolf. Her second novel is Given the Choice (2013). Her other books include A History of Feminist Literary Criticism (with Gill Plain), Myth and Fairytale in Contemporary Women's Fiction and translations of French feminist theory. She teaches literature and creative writing at the University of St Andrews. Website. Professor Frances Spalding CBE is a distinguished art historian and an Emeritus Fellow of Clare Hall, University of Cambridge. She was previously Professor of Art History at the University of Newcastle, and has edited the Burlington Magazine. Her books include: Roger Fry: Art and Life; Vanessa Bell; John Minton: Dance till the Stars Come Down; Duncan Grant: A Biography; Stevie Smith: A Biography; and Gwen Raverat: Friends, Family and Affections. In 2014 she published Virginia Woolf: Art, Life and Vision which complements the Woolf exhibition she curated at the National Portrait Gallery (assisted by Claudia Tobin). Frances Spalding discussed artist Vanessa Bell with Virginia Nicholson on BBC Radio 4 Woman's Hour, 7 February 2017. Website. Dr Trudi Tate is Director of Literature Cambridge and a Fellow of Clare Hall, Cambridge. Her books include Literature, Science, Psychoanalysis, 1830-1970 (2003, ed. with Helen Small); Modernism, History and the First World War (2nd edn 2013); The Silent Morning: Culture and Memory After the Armistice (2013, ed. with Kate Kennedy); Women's Fiction and the Great War (1997, ed. with Suzanne Raitt); and A Short History of the Crimean War (2019). She has edited short story collections Women, Men and the Great War; That Kind of Woman; and Dorothy Richardson's Journey to Paradise. She has a special interest in refugee writers of the Vietnamese diaspora. She teaches 19thC, 20thC and contemporary literature at the University of Cambridge. Her work on Woolf includes 'Mrs Dalloway and the Armenian Question', in her book Modernism, History and the First World War and 'King Baby' in The Silent Morning, ed. Tate and Kennedy. Website. Dr Jeremy Thurlow is a composer, pianist, and Fellow in Music at Robinson College, Cambridge. He has produced books, articles and radio broadcasts on many nineteenth- and twentieth-century composers. He lectured on Woolf, Bloomsbury and music for the Literature Cambridge 2017 summer course, Reading Bloomsbury, illustrated by some wonderful playing on the piano. Website. Dr Claudia Tobin works on the relationship between the visual and verbal arts in the early twentieth century. She worked with Professor Frances Spalding on the exhibition Virginia Woolf: Art, Life and Vision at the National Portrait Gallery (2014), and she has recently completed two papers on Vanessa Bell’s abstract painting, which were commissioned for publication as part of a Tate Gallery InFocus project. See her guest blog on this project on our Blog page. Claudia has taught English and History of Art at the University of Bristol, and recently devised a programme on Literature and Art at the Royal Drawing School. Claudia was a Post-doctoral Fellow at the Paul Mellon Centre for British Art, and is currently a Leverhulme Early Career Post-doctoral Fellow in Cambridge. Dr Nadine Tschacksch wrote her PhD at Trinity Hall, Cambridge. Her thesis explores early twentieth-century queer fiction and the British radical tradition, focusing on E. M. Forster, A. T. Fitzroy, Radclyffe Hall and Mary Renault. Her research interests range from political and social radicalism to the concepts of queerness and deviancy in genre and Modernist fiction. Her article ‘Sexual Identities and Patriotism in Wartime Britain: A Literary No Man’s Land’ is published in the journal English Literature in Transition, 1880-1920 in summer 2017 (http://muse.jhu.edu/article/657891). She reviews regularly for the academic journal Women: A Cultural Review. 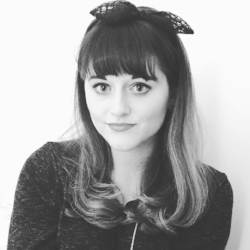 She is currently a Graduate Trainee in university administration in the Ambitious Futures programme at the University of Cambridge, and she is doing research on childhood and sexuality in British popular fiction of the early twentieth century. Dr Clare Walker Gore read English at Selwyn College, Cambridge, where she went on to write her PhD on the representation of disabled characters in nineteenth-century fiction. She is now a Junior Research Fellow at Trinity College, Cambridge, and is working on her first book, Plotting Disability in the Nineteenth-Century Novel. Her work is centred on nineteenth- and twentieth-century fiction, and she has a particular interest in women’s writing, feminist and queer approaches to the novel, and nineteenth-century cultural history. She edited Dinah Craik's 1866 novel, A Noble Life, for Victorian Secrets (2016). You can read more about her work here and here. Dr Jennifer Wallace is Lecturer and Director of Studies in English at Peterhouse, Cambridge, where she teaches English literature 1700-1900 and Tragedy. Her books include Shelley and Greece, Digging the Dirt: The Archeological Imagination, The Cambridge Introduction to Tragedy, and The Oxford History of the Classical Reception in English Literature, 1790–1880 and a novel, Digging Up Milton. She is editing A Cultural History of Tragedy in the Modern Age and writing a book on Tragedy since 9/11. Website. Kabe Wilson is a multimedia artist with a particular focus on literary adaptation across different forms. His work on Virginia Woolf includes ‘The Dreadlock Hoax’, a performance piece that adapts and inverts the infamous Dreadnought Hoax of 1910, where Woolf passed as an Abyssinian royal. Wilson has presented his work internationally, and is interested in how Woolf is viewed as a figure across different cultures. See his guest blog post about her significance to the literary culture of the US.